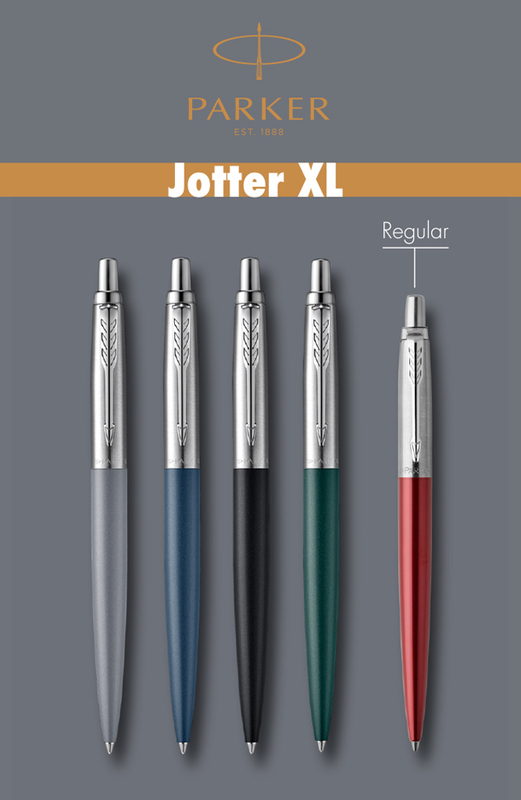 Introducing the Jotter XL Collection, a stylish range of pens with all the hallmarks of the iconic Jotter, but in a larger size. 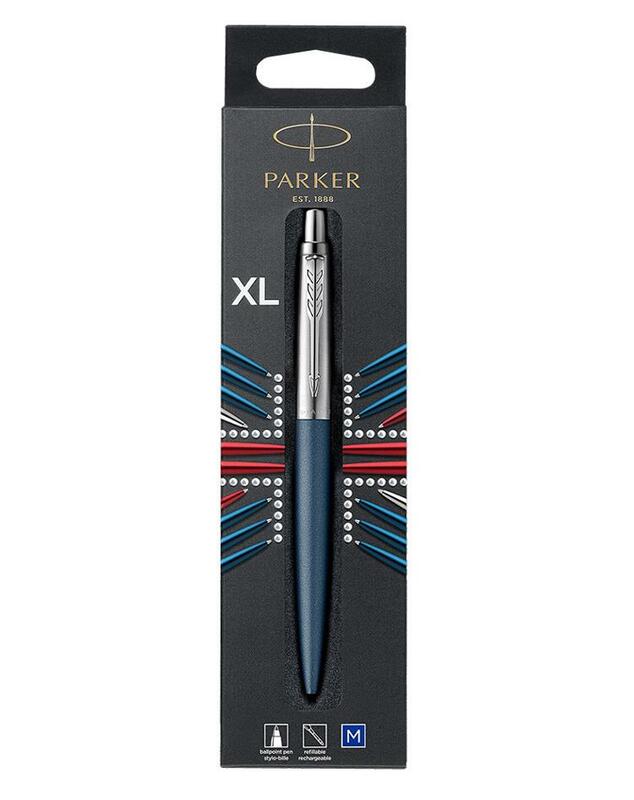 The length and diameter of the pen have been increased by 7%, offering an enjoyable writing experience for those who prefer a larger ballpoint pen. Inspired by scale, each of the distinctive Jotter XL finishes takes as its inspiration a vantage point that offers a panoramic view across London's famous skyline to St. Paul's Cathedral. 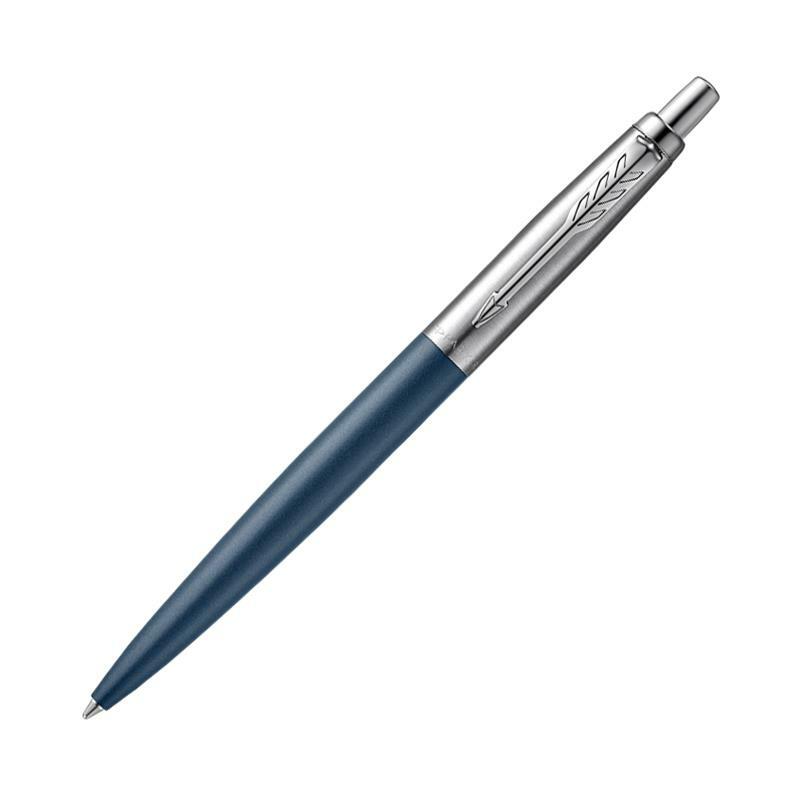 Retaining the distinctive shape, signature arrow clip and unmistakable "click" sound that have made the Jotter an authentic design classic, the Jotter XL is an everyday icon in a larger size.